In New Jersey, an estimated 24,519 men, women, and children are homeless over the course of the year for reasons ranging from systemic poverty to job loss, trauma, addiction, and abuse. Also, the number of chronically homeless persons has risen by 21.2% over the past 5 years alone. And our community, Essex County, is experiencing this epidemic disproportionally compared to the rest of the state. 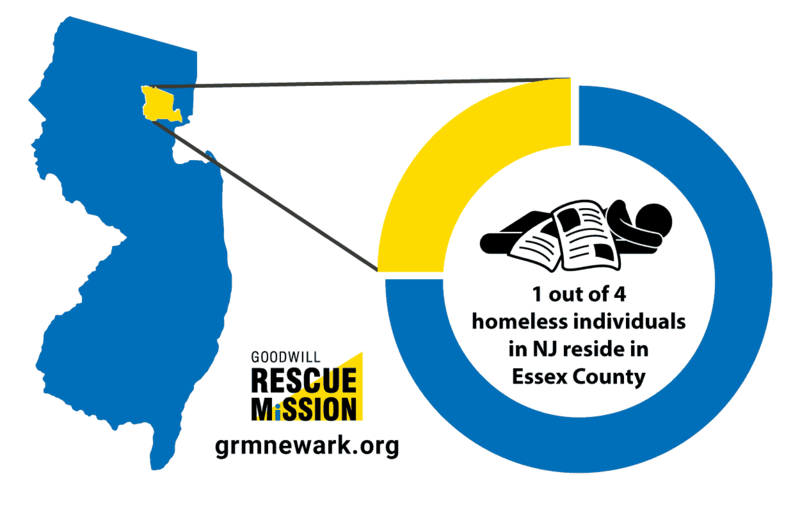 The latest research shows 24% of the entire state’s homeless population resides in Essex County, making it the number one county in New Jersey suffering from homelessness (Hudson County is next at 9.6%). 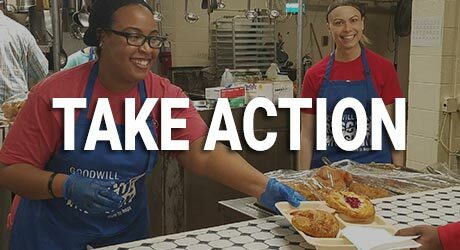 For most of these individuals, food insecurity and lack of a clean, safe place to sleep only intensifies a cycle of unemployment, poverty, or addiction. Weakness from hunger and the burden of having nowhere to turn can destroy a person’s hope and self-esteem, leading them to believe there is no way out of their desperate situation. More than 42% of our displaced neighbors have been homeless for more than one year. The top two reasons for their current living situation was eviction and loss of job. 33% of homeless individuals report suffering some type of disability—the most common include mental-health and substance-abuse issues. Veterans make up 19% of the homeless population. Among all homeless households, 54% report no source of income. Homelessness is one of the greatest crises people can face in their lifetime, leaving them vulnerable to further devastation, such as disease, abuse, emotional trauma, and crime. And yet it is not just an individual crisis. Homelessness can have devastating repercussions for our financial, social, and health systems too. 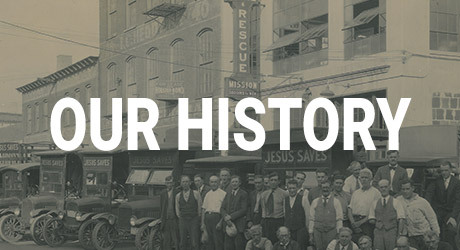 At Goodwill Rescue Mission, we have been welcoming neighbors in need since 1896 with God’s love. 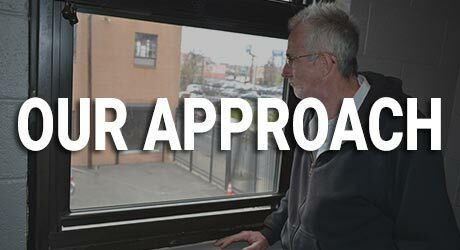 We help the homeless and poor by meeting the immediate needs of each man, woman, and child coming through our doors. Warm meals, safe shelter, showers, and clothing can spark hope and begin the process of healing in a hurting heart. And through our long-term programs, new life can begin.